Perpetuus in process of completing tooling chambers to be used solely for processing Graphite from Gratomic’s Aukam Graphite mine in Namibia. Exploring options to exploit polymer composites, energy capture and storage applications markets. Graphene is an allotrope of carbon consisting of a single layer of carbon atoms arranged in a hexagonal lattice. It is the basic structural element of other allotropes of carbon, such as graphite and diamond. Graphene is an “Advanced material” which at the industrial scale can greatly enhance functionalization from the largest structure to nanoscale electronics. Graphene incorporation enables stronger, lighter smaller & faster versions of predecessors. Gratomic is an emerging Advanced Materials company focused on developing its 63% owned Lump graphite mine in Namibia. Gratomic expects to generate revenue supplying feed to a pre-existing processing facility in Namibia for refinement. Gratomic intends use of proceeds to contribute to its internal development of a Graphene tire to supply to the auto industry within the next 12 to 18 months. There are open adits, underground narrow high grade veining of high quality, around 20% Carbon. The graphite has the highest degree of crystallinity of all forms of graphite. There is no need to prove up mine beyond certain parameters, the mine is not the “asset” driving value; it’s the quality and purity of the graphite that allows for better economics in processing into graphene for “future” uses. The Aukam processing plant uses a simple crushing, grinding and flotation system with a current capacity of 600 tonnes per annum. Construction is already underway for the installation of a larger mill with a 10,000 tonne per annum capacity. Aukam is scaleable – within the context of a growing market. Commercialization will occur inside Namibia, qualifying the purification/processing of its graphite into a saleable, refined graphene suitable as inputs into the burgeoning Advanced Materials market. Gratomic intends to utilize its own graphene for development and industrial production of automobile tires containing graphene. The addition of graphene is intended to reduce wear and tear and achieve greater longevity. Access to the property farm gate is via a 52.6 km graded gravel road (D446 and D727) from the main tar road (B4 Highway). This road is accessible to conventional cars. From the farm gate to the foot of the range that hosts the deposit (another 1km) is accessible by four-wheel drive gravel track, but essentially all-weather. The mine site workings are on a rugged slope and there is limited access by a bulldozed road. Access to the upper adits and open pit is by foot. The infrastructure in the area is good with access to the site possible throughout the year. 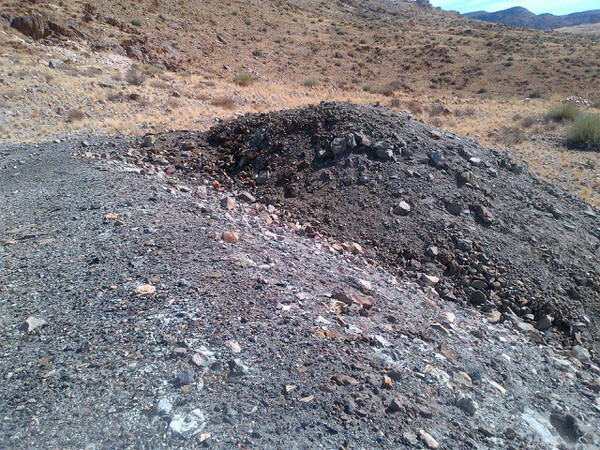 The Aukam Graphite deposit is relatively close to a main tar road and well graded so the only construction required would be a ±2 km long access road to site. There is a national power grid that passes 2 km from the property. A link would likely be required. Water is available in large amounts from underground aquifers (there is an old pump station at the foot of the mountain which was used previously to supply operations with water). The nearest rail link is located next to the main highway (some 70 km from site). Suitable areas for tailings dams and flotation plants are available dependent on eventual plant design. The nearest town of Aus is some 87 km away by road. The area is very arid farmland. The Aukam graphite deposit daylights in an erosional window incised through the hard layers of sedimentary rocks that mantle southern Namibia. The older hosting rocks, known as the Namaqualand Complex, are assemblage of gneisses, marbles, schists, quartzites, amphibolites with nested intrusive rocks including granite and gabbros. This suite of rocks indicates that the entire complex was once deeply buried. Intrusive events of charnockites have been dated between 1300 and 900 million years ago (Kroner and Blignault, 1976). Steep dipping shear zones are common and some are dated by Joubert (1974) around 1200 million years ago. A prominent flat-lying and resistant sediment layer overlies the erosional unconformity at the top of the Namaqualand Complex. The specific formation has yet to be confirmed; however, it is likely to be the lowest most member of the Nama Group (Dabis Formation). Hydrothermal alteration is common to some rocks in the window as is pegmatite veining. Both are evidence of hot water flowing through the rock. The graphite occurs at one such site where over-pressured hot waters evidently carrying carbon dioxide and maybe methane mineralized carbon into a zone of broken rock. This hosting “shear zone” is exposed for 350 m.
Reimer (1984) identified the sheared host rock at Aukam as Proterozoic granite hydrothermally altered to kaolinite and speculated on a biogenic origin to the graphite. However, he also considers Mueller’s (1971) opinion that veins from an unspecified location in Namibia sounding like Aukam was an “inorganic derivation of the hydrocarbons”. The grayish rock and lineaments in the Aukam shear zone are clearly visible in satellite imagery. An inspection of the satellite data has yet to find a similar structure, although there are multiple locations demonstrating alteration that need to be investigated.